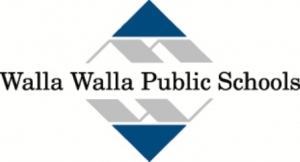 WALLA WALLA, Washington — School board members discussed a recent preschool expansion grant, early learning center, elementary enrollment projections and facility capacity during Tuesday’s monthly study meeting. The bulk of the discussion centered around how to address the district’s trend of declining elementary enrollment numbers, down 248 students in nine years. “Class counts that used to range between 450-500 students per grade have gradually receded to sizes ranging from the 380’s – 410’s,” reports Superintendent Wade Smith. “In just a few short years, while maintaining our current ~25:1 avg elementary student to class ratio, this will result in nearly 30 empty general education classrooms across our six elementary schools. State, regional and local experts are also predicting stable enrollment over the next 10 years. Superintendent Smith says this enrollment trend has resulted in significant financial challenges for the district. Board members considered two options for addressing these issues. Option One called for possible changes to take effect during the 2019-2020 school year and Option Two delayed it one year. “The Board reached consensus that greater outreach and input into the necessary changes outweigh the financial impacts for one year,” said Smith. The board will begin a comprehensive process to glean vast stakeholder input as the district develops an implementation plan for Fall 2020 to best meet student learning needs and district operational interests.